Surgical Spinal Decompression to Help with Back Pain Relief. Chiropractic and soft tissue treatment for all ages, with versatility to tend to needs of the individual from gentle non-force techniques to moderate or firm techniques. Quiet, relaxing setting in a small office with one practitioner and massage therapist. Immediate appointments usually available. Relieving your pain with modern chiropractic. Lisa Barker, D.C., is a chiropractor located in Danbury, CT. Take the next step and contact Dr. Lisa Barker, D.C., for a consultation in Danbury, CT or to get more information. Karlos Boghosian, D.C., is a chiropractor located in Hartford, CT. Techniques: • Diversified • CranioSacral Therapy • Manual Adjusting • Advanced BioStructural Correction • Cox • Gonstead • Massage Therapy Take the next step and contact Dr. Karlos Boghosian, D.C., for a consultation in Hartford, CT or to get more information. Brendan Marinan, D.C., is a chiropractor located in East Hartford, CT. Techniques: • Diversified Take the next step and contact Dr. Brendan Marinan, D.C., for a consultation in East Hartford, CT or to get more information. Shari Richard, D.C., is a chiropractor located in East Hartford, CT. Take the next step and contact Dr. Shari Richard, D.C., for a consultation in East Hartford, CT or to get more information. Michael Yoel, D.C., is a chiropractor located in Hartford, CT. Take the next step and contact Dr. Michael Yoel, D.C., for a consultation in Hartford, CT or to get more information. Donald Nodine, D.C., is a chiropractor located in Hartford, CT. Techniques: • Diversified • CCSP Sports Medicine • Acupunture • Rehabilitation Take the next step and contact Dr. Donald Nodine, D.C., for a consultation in Hartford, CT or to get more information. Richard Duenas, D.C., is a chiropractor located in Hartford, CT. Techniques: • Diversified • Flexion-Distraction • Motion Analysis (Palpation) • Trigger Point Therapy Take the next step and contact Dr. Richard Duenas, D.C., for a consultation in Hartford, CT or to get more information. Alyssa B Greene, D.C., is a chiropractor located in Hartford, CT. Techniques: • Diversified • Trigger Point Therapy • Manual Adjusting • Myofascial • Motion Analysis (Palpation) Take the next step and contact Dr. Alyssa B Greene, D.C., for a consultation in Hartford, CT or to get more information. Joseph E Bellissimo, D.C., is a chiropractor located in West Hartford, CT. Techniques: • Diversified • Flexion-Distraction Take the next step and contact Dr. Joseph E Bellissimo, D.C., for a consultation in West Hartford, CT or to get more information. Daniel Hersh, D.C., is a chiropractor located in Hartford, CT. Take the next step and contact Dr. Daniel Hersh, D.C., for a consultation in Hartford, CT or to get more information. Steven Shaw, D.C., is a chiropractor located in Hartford, CT. Take the next step and contact Dr. Steven Shaw, D.C., for a consultation in Hartford, CT or to get more information. Stephen Dalfino, D.C., is a chiropractor located in Hartford, CT. Techniques: • Diversified • Thompson Take the next step and contact Dr. Stephen Dalfino, D.C., for a consultation in Hartford, CT or to get more information. Kenneth C. Demarest, D.C., is a chiropractor located in Hartford, CT. Techniques: • Diversified • Motion Analysis (Palpation) • Flexion-Distraction • Cox Take the next step and contact Dr. Kenneth C. Demarest, D.C., for a consultation in Hartford, CT or to get more information. Gary R Italia, D.C., is a chiropractor located in Hartford, CT. Techniques: • Diversified Take the next step and contact Dr. Gary R Italia, D.C., for a consultation in Hartford, CT or to get more information. Daniel W Scaringe, D.C., is a chiropractor located in West Hartford, CT. Techniques: • Diversified Take the next step and contact Dr. Daniel W Scaringe, D.C., for a consultation in West Hartford, CT or to get more information. John Tagliarini, D.C., is a chiropractor located in West Hartford, CT. Techniques: • Diversified • Traction • Auricular • Prone-specific Take the next step and contact Dr. John Tagliarini, D.C., for a consultation in West Hartford, CT or to get more information. Stephen J Balkun, D.C., is a chiropractor located in West Hartford, CT. Techniques: • Trigger Point Therapy Take the next step and contact Dr. Stephen J Balkun, D.C., for a consultation in West Hartford, CT or to get more information. Ryan L May, D.C., is a chiropractor located in East Hartford, CT. Techniques: • Activator Methods • Applied Kinesiology • Diversified • Flexion-Distraction • Sacro Occipital Technique • Trigger Point Therapy Take the next step and contact Dr. Ryan L May, D.C., for a consultation in East Hartford, CT or to get more information. Kevin R Barry, D.C., is a chiropractor located in West Hartford, CT. Take the next step and contact Dr. Kevin R Barry, D.C., for a consultation in West Hartford, CT or to get more information. William D Nager, D.C., is a chiropractor located in West Hartford, CT. Take the next step and contact Dr. William D Nager, D.C., for a consultation in West Hartford, CT or to get more information. Jude Lombardi, D.C., is a chiropractor located in Bloomfield, CT. Techniques: • Cox • Diversified • Logan Basic Take the next step and contact Dr. Jude Lombardi, D.C., for a consultation in Bloomfield, CT or to get more information. Colby A Christopher, D.C., is a chiropractor located in Windsor, CT. Techniques: • Gonstead • Diversified • Thompson Take the next step and contact Dr. Colby A Christopher, D.C., for a consultation in Windsor, CT or to get more information. Richard Sennett, D.C., is a chiropractor located in Windsor, CT. Take the next step and contact Dr. Richard Sennett, D.C., for a consultation in Windsor, CT or to get more information. George B Curry, D.C., is a chiropractor located in Windsor, CT. Techniques: • Gonstead • Pierce Stillwagon Technique • Toggle Recoil • Upper Cervical • Thompson Take the next step and contact Dr. George B Curry, D.C., for a consultation in Windsor, CT or to get more information. Bonnie Emerson, D.C., is a chiropractor located in Windsor, CT. Techniques: • Diversified Take the next step and contact Dr. Bonnie Emerson, D.C., for a consultation in Windsor, CT or to get more information. Walter R Ialcci, D.C., is a chiropractor located in Windsor, CT. Take the next step and contact Dr. Walter R Ialcci, D.C., for a consultation in Windsor, CT or to get more information. Robert D Claflin, D.C., is a chiropractor located in West Hartford, CT. Techniques: • Diversified • Cox Take the next step and contact Dr. Robert D Claflin, D.C., for a consultation in West Hartford, CT or to get more information. Karen L Rubinow, D.C., is a chiropractor located in West Hartford, CT. Take the next step and contact Dr. Karen L Rubinow, D.C., for a consultation in West Hartford, CT or to get more information. Stephen E Owens, D.C., is a chiropractor located in West Hartford, CT. Take the next step and contact Dr. Stephen E Owens, D.C., for a consultation in West Hartford, CT or to get more information. Catherine Rumary, D.C., is a chiropractor located in West Hartford, CT. Take the next step and contact Dr. Catherine Rumary, D.C., for a consultation in West Hartford, CT or to get more information. 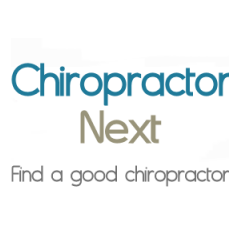 Ronald F Clark, D.C., is a chiropractor located in West Hartford, CT. Take the next step and contact Dr. Ronald F Clark, D.C., for a consultation in West Hartford, CT or to get more information. Michael Gurney, D.C., is a chiropractor located in Wethersfield, CT. Techniques: • Diversified • Gonstead Take the next step and contact Dr. Michael Gurney, D.C., for a consultation in Wethersfield, CT or to get more information. Gina Carucci, D.C., is a chiropractor located in Wethersfield, CT. Take the next step and contact Dr. Gina Carucci, D.C., for a consultation in Wethersfield, CT or to get more information. Ross F Belanger, D.C., is a chiropractor located in Wethersfield, CT. Take the next step and contact Dr. Ross F Belanger, D.C., for a consultation in Wethersfield, CT or to get more information. Mark O'Malley, D.C., is a chiropractor located in Wethersfield, CT. Techniques: • Diversified • Sacro Occipital Technique • Nimmo • Activator Methods • Cox Take the next step and contact Dr. Mark O'Malley, D.C., for a consultation in Wethersfield, CT or to get more information. Christopher LaVoie, D.C., is a chiropractor located in Wethersfield, CT. Techniques: • Activator Methods • Diversified • Flexion-Distraction • Manual Adjusting • Nimmo • Traction Take the next step and contact Dr. Christopher LaVoie, D.C., for a consultation in Wethersfield, CT or to get more information. Walter H Sorensen, D.C., is a chiropractor located in South Windsor, CT. Take the next step and contact Dr. Walter H Sorensen, D.C., for a consultation in South Windsor, CT or to get more information. Rosanne Gregory, D.C., is a chiropractor located in South Windsor, CT. Techniques: • Diversified Take the next step and contact Dr. Rosanne Gregory, D.C., for a consultation in South Windsor, CT or to get more information. Herb Stevenson, D.C., is a chiropractor located in South Windsor, CT. Techniques: • Diversified Take the next step and contact Dr. Herb Stevenson, D.C., for a consultation in South Windsor, CT or to get more information.